Paranormal: Shifters, Vampires and Witches…Oh My! guilt—the guilt of knowing he is unwillingly breaking her heart. (From Goodreads). Ok first let me start by saying that I am a huge fan of Elizabeth Reyes, she is one of my favorite authors in this particular genre. I have enjoyed all of her books, absolutely loved the Moreno Brothers series as well as the first two books in this series. Having said that I have to admit that this one was a bit of a disappointment. 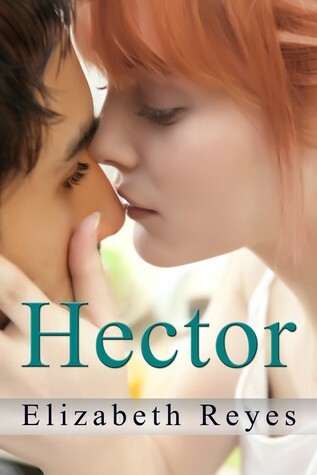 I love the character of Hector but I think I would have liked to have had Abel’s story first, it would allow for Hector to grow up a bit more. Of course with the glimpses we get of Abel in this story I am even more intrigued with his potential storyline. I also would have liked to see some more of the other 5th street boys, there just wasn’t enough of Noah, Gio, Abel or Felix. My biggest problem with this story really was the fact that it was way too drawn out, I’m not a huge fan of a romance that doesn’t really get off the ground until almost the end of the book. By 60% I was seriously considering putting it down and not finishing it. I liked Hectors character, Charlee’s character was okay but the fact that it took them so long to sort their crap and get together was exhausting. I needed more. I truly hope that Abel’s book does not do this same thing. I am still a huge fan of the series and am looking forward to the next book. Previous Post Bike’s and Hot Men…Yum! Jaymie has read 17 books toward her goal of 200 books. 💎💎💎💎💎 Loved it! 💎💎💎💎 Really Liked It! 💎💎💎 Liked It! 💎💎 It Was Ok! 💎 Didn't like or Didn't Finish! Blogger, Wife, Mother and Friend!